Maintaining the required temperature in the greenhouse or glasshouse is very important for the plants you wish to grow. The elements that you need to think about when choosing the right heating system is: installation cost and cost of maintenance and heating. The heat pumps use heat energy from air or water and turn it into geo-thermal energy. 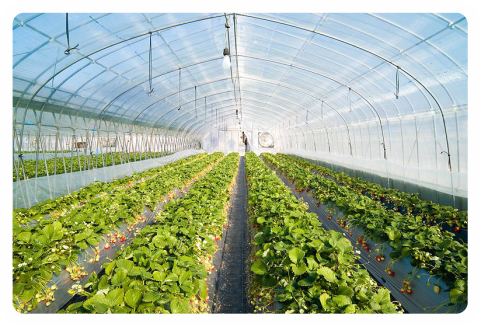 For this heat energy transmission we use certain electric energy which is 3x less than the transferred.Using the heat pumps you save 75% of energy which is necessary to use during the heating of your greenhouses and glasshouses. 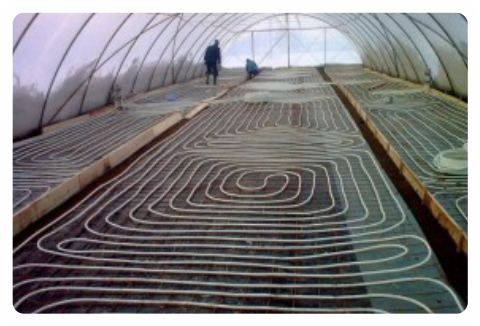 The system is also capable of maintaining constant adjusted temperature in greenhouses and glasshouses which is necessary for yield of grown plants. 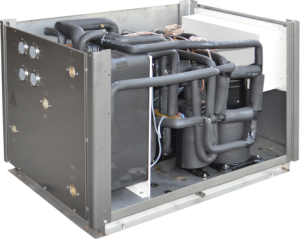 With FEMAN heat pumps you get a guaranteed highest possible field. Pipelike solar collectors compared to the flat square solar collectors have a coefficient of utilization of 75%. 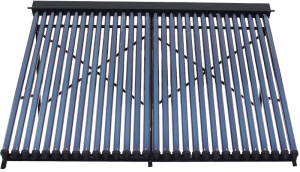 Solar heating is a process of heating water through converted sun energy. The energy from the sun turns into heat energy with the help of sun receptors called solar collectors. It is commonly known that the solar collector annualy saves for 1m2- 589kWh energy. In the summer period it satisfies the needs for hot water 95-100% in the transition period 55-75% and in winter time 15-25%. 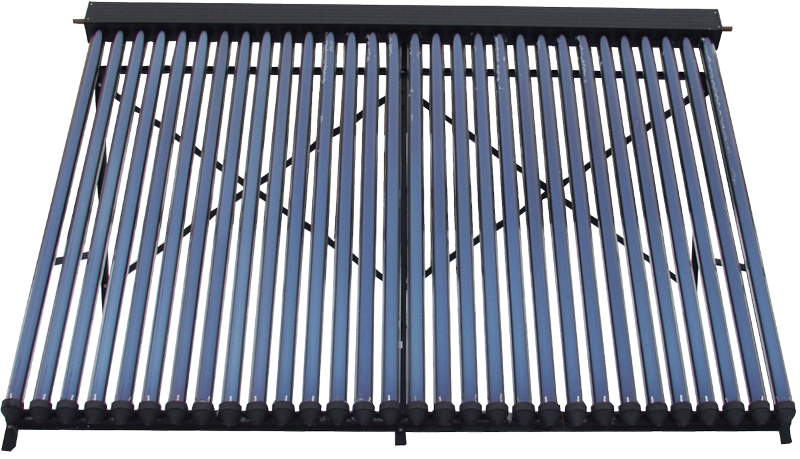 Solar collectors do not need any maintanance and they do not have any break-downs. The collector carriers are made of anodized aluminum. Vaccum pipes are made of tampered glass that give toughnest and durability and the center of the pipe has a copper pipe. 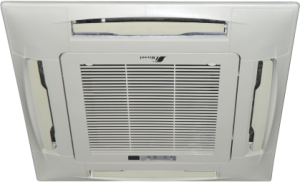 Fan-coil equipment has the lamella surface condition for exchanging heat, on which with the help of fans the air flows in the room. Compared to the standard radiators, multiple increases the heat transmission thanks to the reinforced pipes shaped like common small ribs for heat exchange. Thanks to the large surface for heat exchange and to the fans that help the air flow, the unit is suitable for cooling rooms as well if the cold water is circulating through the system. 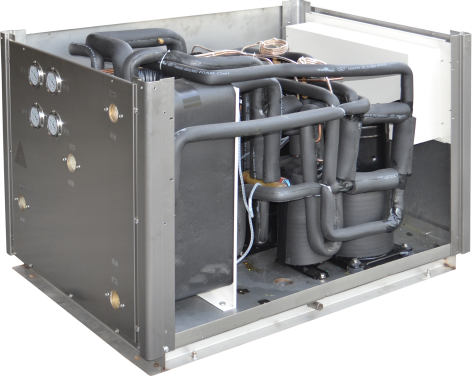 Heat pump Air-Water takes energy from air and transmits it to water. 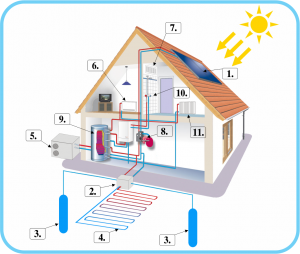 Optimizing the parameters of the heat pump you achieve the maximum coefficient of economic effect throughout the year.The air is brought into the heat exchanger in which one part of the underground water in transmitted into the ecological Freon which evaporates. 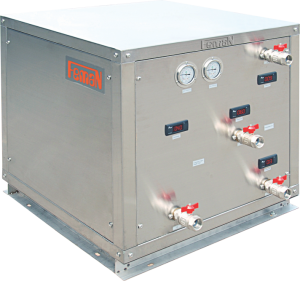 The Freon that is now in gas condition is pressed via compressor and releases latent transferred heat to the water that circulates through the condensers and heat systems in buildings. 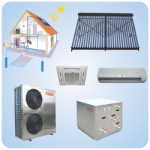 Using the heat pump air-water you will save up to 75% of energy for heating homes, offices, greenhouses etc. 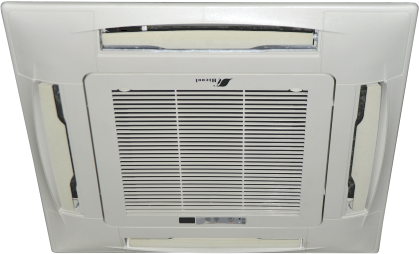 Also another advantage of this product is that you can cool the room during summer time. The heating system has the most utilization during the transition period. 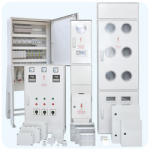 These systems can be used on the existing central heating systems such as wood, coal or gas. 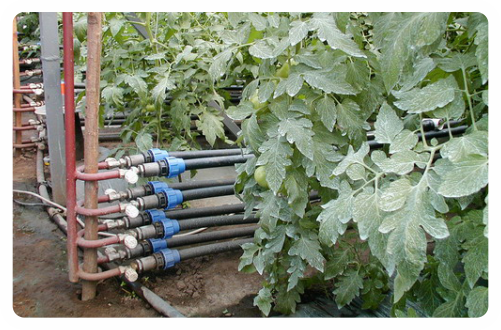 To increase the capacity, connect more pumps in one system. underground waters that are on temperature of 14 °C throughout the whole year. From a drilled well the water is brought into the heat exchanger in which one part of the underground water is transmitted into the ecological Freon which evaporates. 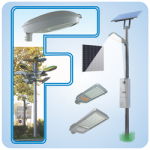 For 1kWh of used electric energy in the output you receive total heat energy of 3-4 kWh. Energy gained in such process is called geo-thermal energy. 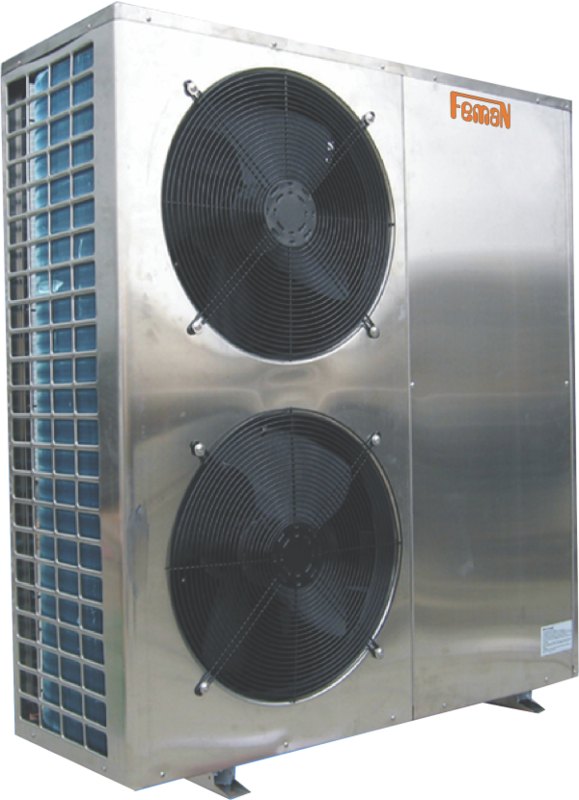 In common practice heat pumps are mainly used for cooling space and as well for heating water. Partially cooled water returns to the second well which is the same deepness as the first well so in that way the flows of the underground water are not disturbed. 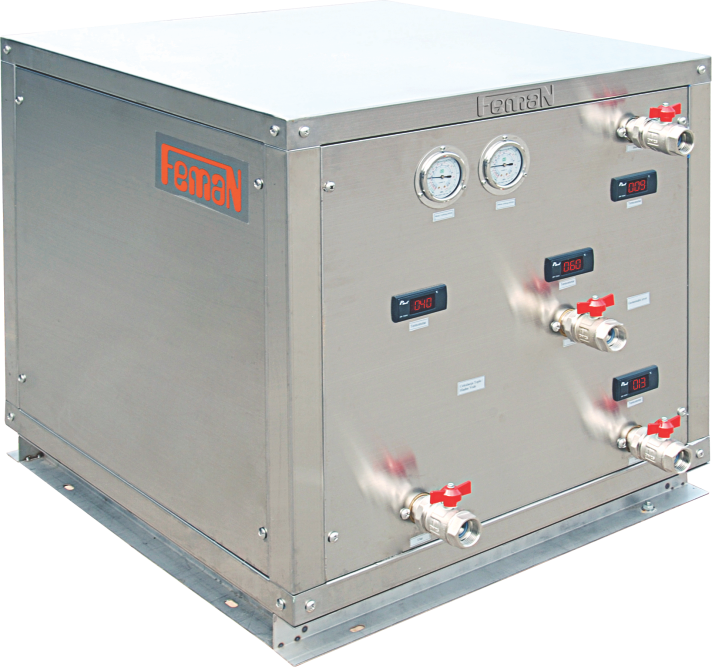 The Freon which is now into gas condition is pressed via compressor and releases latent transferred heat to the water that circulates through the condensers and heat systems in buildings. 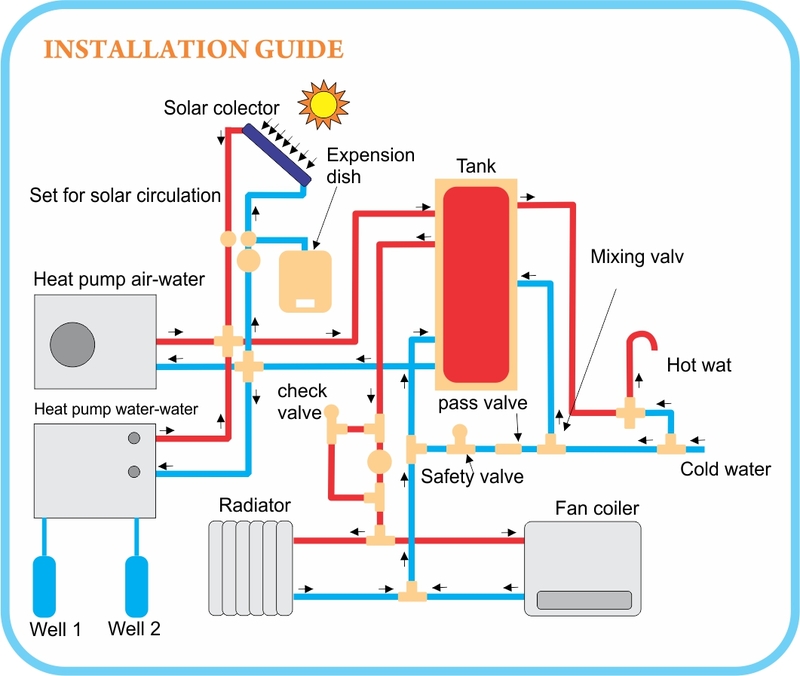 Heat pump WATER-WATER is exploited as a device that uses accumulated heat from the ground and with the help of electricity turns into heat energy for heating or cooling system, depending on the need. pipes in ground under depth of 1.2 to 1.5m. The distance between the pipes should be from 0.5-0.8m. The width of the pipes is determined based on the project. The heat pump in this system uses the antifreeze as a intermediary for transferring the ground heat. 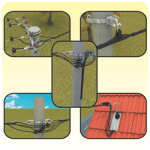 If it is not possible to set up the geothermal collectors due to lack of space or if you need a system with higher effect than we recommend geothermal sondas. In this case you drill holes in the ground hundreds of meters deep and than insert polyethylene pipes. With the heat pumps you achieve large utilization by setting up horizontal collectors beneath the livestock manure that in winter period accumulates the needed temperature. 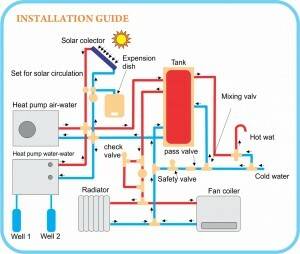 Heat pump WATER-WATER have the possibility to use the energy from water and earth. 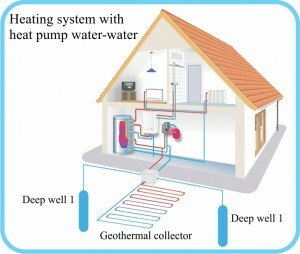 Heat pump WATER-WATER is used to heat or cool: homes, apartment units, office space, green houses etc. 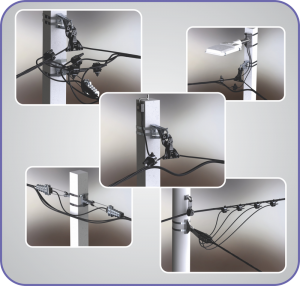 These systems can be installed on existing central heating units for example wood, coal or gas. 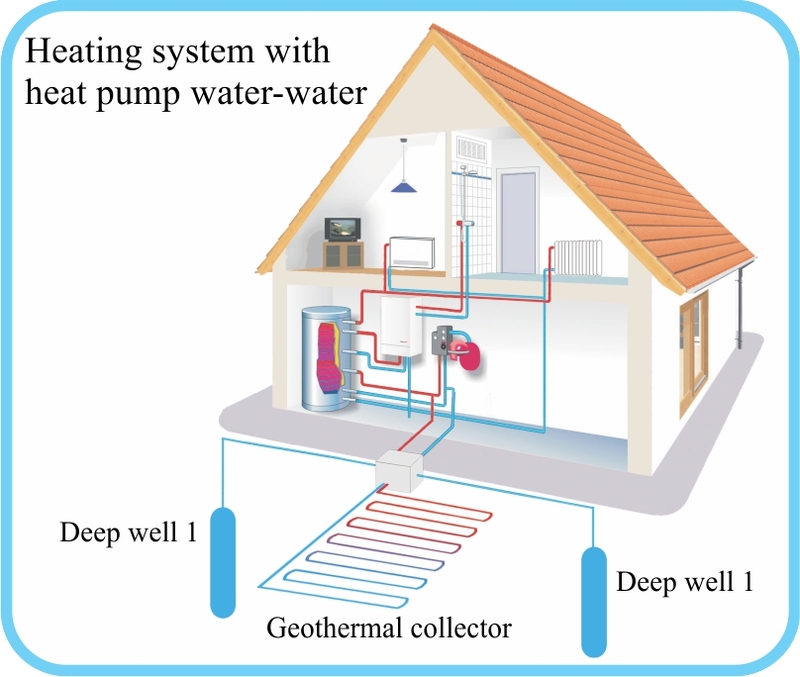 Heat pump water-water takes its energy from water and transmits it also into water in a different place. When, as heat source we use groundwater which has the same temperature of 14 to 16 °C throughout the whole year, optimizing the parameters of the heat pump you achieve the maximum coefficient of economic effect throughout the year. Solar energy is the only inexhaustible source of warm energy. In the period when there is not enough of sun energy, solar collectors are used in combination with heat pumps. 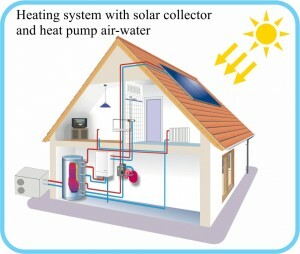 These types of systems are used for heating and cooling domestic homes, office space, swimming pools, green houses etc. The solar collectors combined with the heat pumps secure the biggest possible degree on energy saving and energy efficiency up to 75%. 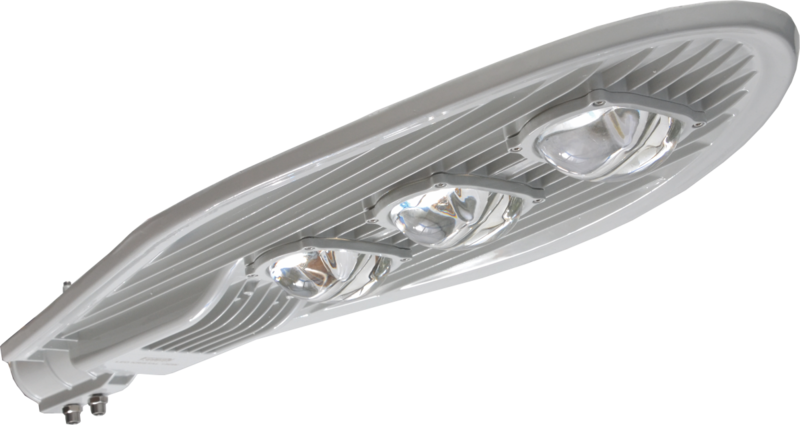 Beside the big energy saving, these systems do not produce any harmfull elements that endanger the environmnet such as wood fired cauldron, coal, gas, crued oil, oil etc. 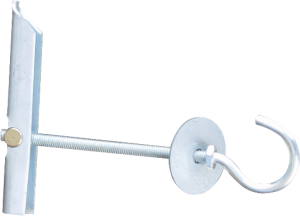 Necessary when installing lowered ceiling constructions, with universal plaster boards (Knauf, Austroform…) or similar materials. 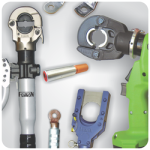 Made in lengths from 50mm to 70mm with screws M3, M4. Maximal force is 400N. 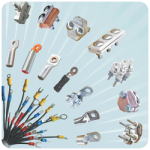 Metal parts are galvanized, and at customers demand we will hot dip galvanize them. 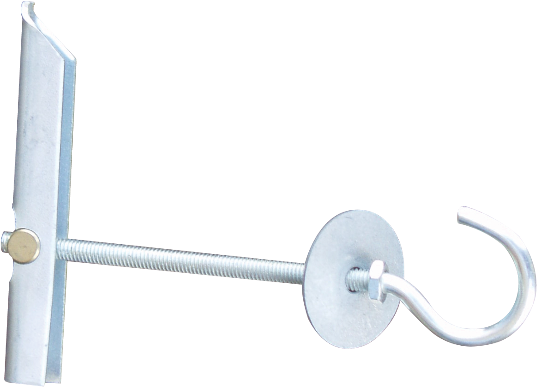 When using FEMAN support screw with hook for lowered ceilings, installation of ceiling constructions will be swift, easy, reliable and high-quality.